“Two things are very important. Infrastructure and teachers,” said Mayor of the municipality Thakur Prasad Dhakal. “To ensure quality education you need to have good classrooms, all necessary stuffs to teach students, enough space to play and roam around. And there should be teachers proportionate to the number of students,” he added. According to Dhakal, 11 out of 45 community schools are set to undergo merger. The decision to merge the schools was taken to ensure adequate quota of teachers in view of the number of students and also to provide better infrastructures. “Our municipality is not in a position to bear the burden of all the existing community schools. If we want quality education, we have to merge them wisely,” he noted. The ideal teacher-student ratio, according to the municipality is one is to 15 in the primary level while in the lower secondary level it is one is to 34 and in the secondary level it is one is to 55. In the first phase, Rastriya Prathamik Bidhyalaya of Radhapur, Ramailo Danda Nimna Madhyamik Bidhyalaya and Diwakar Memorail Bidhyalaya of Basantapur are going to be merged. According to Dhakal, the new name of the merged entity is under discussion. “The schools which are going to be merged are located within a distance of around two kilometers. The school management committees have already agreed for this process,” said Pravin Bhandari, information officer of Madi Municipality. Bhandari added that there will be transportation facility to address the problems of students coming from far distance. “Bus service is going to be provided for students coming from distance. 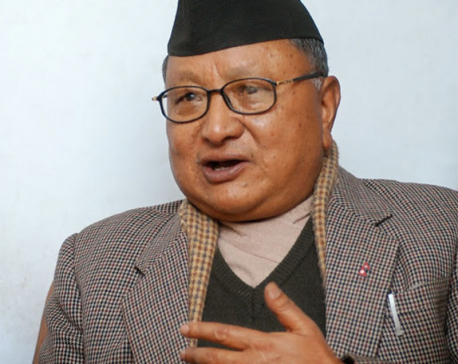 When schools are merged, some children might really have problem,” Bhandari said. “The schools themselves had proposed bus service during a meeting. They are aware of inconvenience to the students. That’s indeed a practical problem and therefore there is no option to vehicle service,” he added. Out of the 11 schools, three schools will be merged in the first phase and the rest will go through the same process. After successful merger of the 11 schools, others might also be considered for merger, Mayor Dhakal stated. Quality education is one of the major goals of the municipality, according to Dhakal. The office allocated Rs 12.5 million for the current fiscal year to improve education standard in the municipality. From the same budget, the office provided free counseling and tuition classes for students appearing for the SEE examination, Dhakal informed. “We had allocated certain budget to improve the quality of education. Students of SEE examination were provided with tuition and counseling classes for free,” Dhakal said. The classes were joined by students of six secondary schools. The municipality office informed that Rs 1.3 million was invested for the purpose. And rest of the budget is being invested for infrastructural development of schools, the office informed. Dhakal stated that five of the primary schools in Madi are going to be shaped as model schools. Investment in those schools is going to be significant, he said. “Our focus is on primary schools. And then one from among the secondary schools is going to be developed as a model school. Slowly, others will follow the change,” he shared the plan. There are 21 primary schools, eight lower secondary schools and four secondary schools in the municipality. Only two schools provide higher secondary education. 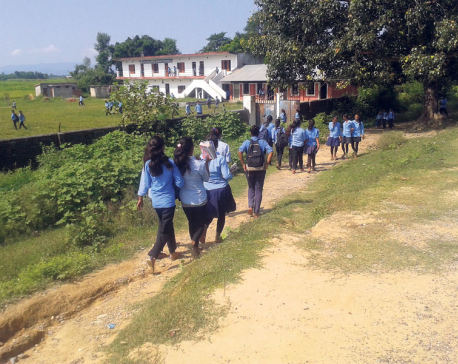 According to resource person at the education division of the municipality, Tanka Neupane, few schools operate vocational classes, which are now being prioritized by the municipality. “Some schools are purely vocational but most of the schools do not have such classes. But now, we are going to prioritize such practical learning,” Neupane said. “There are schools also for differently-abled students. The municipality is aware of the special need of such children, too,” he added. There is only one school for different-abled or mentally challenged children in the municipality. Similarly, the municipality boasts of three community learning centers, one college that offers Bachelor level classes and one plus two college. Government school's dilemma: Free or quality education?